GWInstek’s GPT-9900 series, with 500VA maximum output capacity to the market. The family of four, including GPT-9904, GPT-9903A, GPT-9902A and GPT-9901A, come joining the GPT-9800 series, which carries 200VA output capacity, to serve the market with higher power demands for the safety tests of electronic products and components. 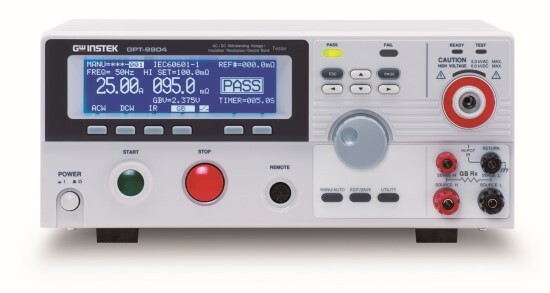 The GPT-9000 series supports the major test items among all the needed for the compliance of the safety standards such as IEC, EN, UL, CSA, GB, JIS and other safety regulations.